This is a quick, tasty and refreshing smoothie recipe that helps you use up a load of fruit, get plenty of vitamins and serves as a great pre-workout drink or breakfast on the go. This apple, kiwi and banana smoothie takes seconds to make, can be customised to suit your tastes and can contain as much or as little of each fruit as you like. Chop the apple into quarters and remove the core. Keep the skin on. Top and tail the kiwi’s, remove the skin and chop in half. Break the banana in two and add. Add all of the fruit to the blender, finally add the squash. Blast on full power until you have the consistency you like! Drink this, avoid e-numbers, processed foods and benefit from the vitamins, minerals and fibre that fruit provides. 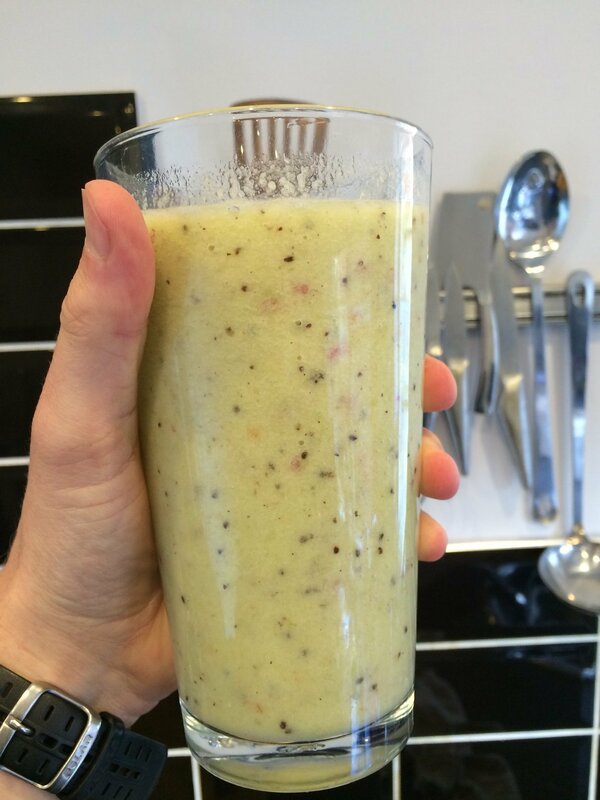 Quick apple, kiwi and banana smoothie – quick, healthy and tastes amazing. Get this in your life and thank me later!